Secrets Of Protection & Grand Master Tsai Release free “Protect Yourself” video. Secrets of Protection has launched Volume 1 of “How To Protect Yourself”, a video training course and 35 page downloadable color study guide for Free. It gives viewers and readers a fundamental understanding of key self defense moves they can use in the event of a real life attack. The video series, “How To Protect Yourself”, is the number one personal protection video in the US, and has sold over 1 million copies. 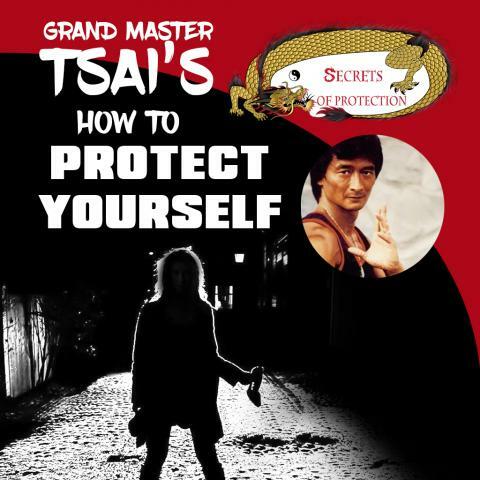 Grand Master Tsai also produced a five part sequel to “How To Protect Yourself”, called “Super Protection”, which contains additional, easy to learn and life saving techniques. Grand Master Tsai is considered the number one personal protection teacher in America, along with being the foremost teacher of Shaolin Kung Fu today. He is a Two Time World Champion who has developed the specialized course to help more people feel safe on the streets. There are a number of important benefits to learning martial arts and improving self defense skills for men and women. For example, learning self defense gives people the ability to protect themselves in the event of an attack. It means that people don’t have to feel as fearful when walking alone at night, as they will be able to quickly and efficiently disable attackers and protect themselves. This leads to better street awareness and improved self confidence. When someone knows they can defend themselves, they can explore their location and the world around them more freely. Customers can practice along with the video and the 35 page study guide to learn multiple techniques for stopping an attacker.